In recent years, the widespread diffusion of video-chat applications and services (Snapchat, Instagram, Telegram, etc.) has marked an evolution in the social shape of moving images. The moving image is more and more conceived as something oral and ephemeral, conceived to circulate and disappear without apparently being stored. Many producers, in parallel, tend to erase any perception of database, seeing the traditional archival practices as nothing but a useless cost. How is this shift modelling our way to access and keep our personal memories on the cyberspace? How could we retrace the connections that take place within it? Some recent ethnographical researches can help us answering these questions. Namely, this paper will argue that those applications do nothing but respond to the need of a limit, which is a necessary step, in the quantitative logic of infinite content production, in the process of community-building. Namely, this paper discusses how Snapchat’s ten-seconds time restriction, the feature that distinguish the popular app among equivalent products, is essentially a users’ choice: before being a technological set-up, the limit may be intended as a social construct, depending on a specific culture or set of values. The aforementioned questions, then, intertwine, heuristically, with another one: how does the need for a limit emerge? I will try to consider that need as a compromise between two distinct cultures: the culture of a given community, intended in this case as the part of society that actively uses Snapchat, and software culture. Negotiating the boundaries between those two agencies, iGen’ers attempt to redefine the status of contemporary audio-visuals, as they have always operated within and against the quantitative logic of software. iGen, to this extent, configures itself as a sort of self-limiting generation, that feels the urge to set new boundaries and create new communities. “iGen” (or Generation Z, or Post-Millennials) (Twenge, 2006, 2017; Rosen, Carrier, Cheever, 2010) identifies a generation of teenagers and children, born between 1995 and 2012, which, since childhood, uses digital devices for communication, entertainment, learning. Digital media affect every sphere of iGen’ers’ social and cultural experience and impact, therefore, also on the forms of film consumption. In the post-media era, cinema consumption is part of a broader stream of media consumption, including online video, video games, TV series, videos shot with smartphones and other mobile devices and, in general, all that we can call ‘digital postcinema’. Our paper intends to investigate a particular mode of film (and television) consumption: the second screen (De Francisci Morales, Shekhawat, 2013; Atkinson, 2014; Filho, Santos, 2015; Blake, 2017). The term refers to the use of a second screen compared to the first screen (the screen on which the film is projected), in subordination or in synchronization or in a centrifugal function. The goal of this paper is to explore the ways in which iGen’ers use the second screen, starting from three research questions: A) How are mobile devices used to process symbolic meanings about movies and moviegoing? B) How does the smartphone compete with the film in contending the media user’s attention? C) How is the use of the smartphone different when iGen’ers watch a film in movie theater and when they watch it at home? We tried to answer these questions by collecting data through two focus groups made with high school students from the cities of Salerno and Benevento. The results presented highlight how the use of the second screen is a topic particularly interesting for contemporary Media Studies. On the one hand, in fact, through the paradigm of domestication, we can map concrete socio-cultural and media practices, linked to the second screen, through which iGen builds individual and collective identities, in the specific contexts in which Post-Millennials operate. On the other hand, the second screen represents a privileged observatory on the transformation of forms of hybridization between media, culture and society. Streaming is an emerging cultural practice, but also an important strategy of media companies, that is defining a new media landscape. Younger generations, such as the iGen, are playing an important role in this new practice. This article analyzes how the new generations can cooperate with the streaming media industry re-inventing cinema through new consumption practices, and how the same practices are resembling different generations. Digital natives ideally belong to the post-millennial generation, indeed, those who were born after 1995 are more likely to have used digital technology growing up than those who were born before. In Italy, movie theaters are less active than in the past and the consequences of this are particularly felt in small urban centers. Considering the iGen familiarity with digital devices and the lack of working movie theaters, teenagers’ habits towards audiovisual experiences will be analyzed in this paper: the reference sample is a small group of young people living in Sulcis-Iglesiente. This province, situated in south west Sardinia, is sadly known as the poorest region of Italy and it suffers from inefficient public transportation services like many other Italian areas. With an extension of 2.117 km² and 141.628 inhabitants, the territory counts only one operational movie theater situated in the town of Carbonia (even if festivals and temporary shows are organized in some villages on several occasions) and public transportation might stop before the end of the shows. A short survey will be submitted to the sample; questions are easy to understand: possible difficulties in reaching the theater, general interest in cinema and movies, the devices used for watching video content, popularity of other kinds of audiovisual entertainment (like video-games, TV-series, user generated videos) and the use of video in social media. Results will be presented and discussed. A correlation between the distribution of movie theaters and teenagers’ multi media habits in southern Sardinia will be discussed. Horror has always been a favourite film genre with teenagers and younger audiences in general. There are various reasons for this. Baby boomers were the chosen target for the new genre, with its mix of science fiction and horror, typical of the period between the mid-Fifties and mid-Sixties. The monster family sitcoms of the Sixties domesticated horror and gothic genre, bringing it into the living room and offering it for family consumption. Later, in the Seventies and Eighties, with the emergence of the “slasher and splatter” movies, youngsters could identify with the main characters, themselves young, and share their uneasiness and anxiety in the face of permissiveness and sexual experimentation and, in the meantime, the necessity of a super ego punishment. Thus horror movies allowed one to experience one’s own fears in a safe environment, in the knowledge that fear is indispensable to personal growth. With this in mind, we were prompted to inquire whether horror films still exercise this fundamental function for post-millennials and, in an attempt to provide an answer, we chose It (2017) as a meaningful case study. We would argue that It is one of the best examples of a horror movie perfectly tailored to a generation a) whose attention spans have been reshaped by the constant use of smartphones and other mobile devices and b) whose cinema experience is subject to a continuous process of relocation on multiple platforms and digital networks. On the basis of our analysis, it can be said that It owes its success with younger viewers not merely to its being an audio-visual product capable of satisfying forms of multiscreen and polysensory consumption, but because it is a film which reflects the new spectatorship aesthetic of the Post-Millennials: an aesthetic which brings the cinematic experience closer to a relationship of intimate and reversible contact with the film’s surface, rather than a full immersion in a compelling narrative form; but also an expanded experience which accommodates the different facets of Post-Millennial viewer behaviour. The aim of this paper is to analyze the evolution of teen female characters during what Henry Jenkins called the era of convergence culture. As the ideal result of the interaction between production and consumption practices, the teen movie has always been one of the most prolific and profitable genres since its origin. But in order to maintain its commercial potential, such genre went through several changes and adjustments due to social and cultural changes and to market needs. Thus, the portrayal of adolescent characters in teen movies has equally changed through the decades, in order to appeal an always shifting audience. In this sense, the character of Katniss Everdeen from The Hunger Games series seems to be particularly relevant because she simultaneously both conforms and resists to the traditional stereotypes about the representation of female adolescents on screen. Committing to the dominant cinematic trends of our time, Katniss updates the archetype of Carol Clover’s “final girl” and offers an innovative type of teen female character. She has risen to the status of feminist icon of the new millennium, opposite to the female protagonist of another contemporary successful franchise, Bella Swann from the Twilight saga, whose behaviors are considered cultural regressive and affirmative of patriarchal values. Furthermore, the exceptional and enduring success of The Hunger Games turned this major franchise into a cultural event and contributed to transform Katniss into the emblem of what the economist Noreena Hertz named Generation K, the demographic born between 1995 and 2002 in western society. At the same time, the centrality of her character implies a renegotiation of the role of the teen male hero of the saga, Peeta Mellark. As a matter of fact, while Katniss is shown fighting or hunting in the forest, Peeta is often portrayed as a victim to be rescued. Hanging in the balance between public and private, active and passive, masculine and feminine, paternal and maternal, Katniss deconstructs the stereotypical system of representation of adolescents in teen movies. Her character stresses Julia Kristeva’s notion of abjection as “whatever disturbs identity, system, order; what does not respect borders, positions, rules; the in-between, the ambiguous”. And her ambiguity embodies that state of “in-between-ness”, following Catherine Driscoll’s definition, which coincides both with the contemporary representation of adolescence on screen and with the evolution of the teen movie genre. Netflix is one of the favorite media companies of teenagers thanks to its flat subscription plan, in which customers pay a monthly fee for an unlimited number of movies, together with a vast number of films and valuable original productions. Even if a real ‘teen cluster’ does not exist for Netflix’s algorithm, this article tries to outline a profile of the average teen viewer based on marketing and personal researches on what iGen thinks about Netflix and the way they use it. On the other hand, a part is dedicated to the way in which Netflix is in touch with young people and has found a key to reaching the widest audience of kids, teenagers and adults in producing more and more coming of age stories, teen movies and series with a universal vintage glamour. The idea is to explore the relationship between Netflix and teenagers as an essential part of the aesthetics of abstraction of the world’s most popular streaming service. The monster occupies a prominent place in children’s media culture. Hundreds of picture books feature monsters as titular and main characters and monsters abound in contemporary children’s films. Monsters are also particularly visible within the toy industry and children’s digital media culture, with dozens of monster-making apps, web platforms, and toy experiences designed to let kids design and make their own monsters, creatures, or other nonhuman characters. What explains the popularity of monster-making within contemporary children’s culture? This article offers a preliminary exploration into the relationship between monster making platforms and popular conceptions of STEAM and maker cultures, and demonstrates how the genre and format of the monster maker mitigate concerns about passive or consumptive children’s media use. Using a range of examples, this article traces a relationship between the tenets of STEAM education, the maker movement, and the themes of children’s monster culture. Educators and practitioners such as librarians have drawn on monster themes and iconography in programming and curriculum design, especially in informal contexts, such as monster-making workshops. Similarly, the makers of children’s media products have consolidated the positive associations with STEAM learning and maker culture through the figure of the monster. I argue that within this associative web, the monster as child-constructed creation responds to concerns over children’s media consumption and the perceived decline of creativity as evidence of kids’ imaginative, outof-the-box thinking. Unlike interpretations of the monster in classic monster theory as an embodiment of cultural anxieties that needs to be defeated to maintain social order, within contemporary children’s media culture, the child-made monster exemplifies kids’ creativity and tinkering, becoming an antidote rather than anxiety. Finally, however, I suggest ways that this conception of monster-making apps as platforms for creative production can be exploited in monster-themed toys, particularly those that bring together digital design skills with physical fabrication technologies, such as the creation of custom 3D printed game avatars and stuffed animals. I identify the limitations inherent in the commercial imperatives underlying many of these platforms, which often result in experiences that define creative play within legal and commercial boundaries, and I suggest how such products reduce the radical expressive possibility of monster themes to conventional categories. This article is focused on a new narrative form of the Planctus Mariae: the prayer to the glorious Mary in order to obtain the tale of the pain she felt during the death of her Son. Through the analysis of some textual examples – in particular of the Planctus written by the Cistercian monk Oglerio from Lucedio at the end of the 12th century – this paper aims to underline a different dramatic device of the representation of the Passion of Christ which is characterized by a very specific ‘affective gaze’, capable to see and to feel the likeness to God at the same time. As a consequence, the concept of ‘otherness’ is defined according to an affective knowledge and must be intended as ‘unlikeness’ to God. From Bernard to Dante, seeing through the eyes of Mary makes it possible both to acknowledge the ‘other’ as a neighbour, and to recognise in God “la nostra effige”. This article examines a practical experiment that was carried out on 6 May 2016 at the University of Udine, in Pordenone, in order to honour the victims of the 1976 earthquake that struck Friuli. The experiment involved a test evacuation of the University’s campus. The test group was composed of 53 students who, before the evacuation drill, had attended a lecture on disaster prevention and emergency management. The control group was a class of 13 students who had been provided with no preventative information. This study made use of two methodologies: 1. audio-visual recordings of the evacuation drill; 2. a questionnaire, which sought to investigate, by means of personal accounts after the evacuation, participant behaviour, their emotional responses, and their views of the efficiency of individual, communal and social responses to the emergency. The results enable us to signal positive and negative elements in preparation for emergencies. Certain areas still require improvement, including the recognisability of the alarm siren and the modes of communication of the disaster. This essay proposes a close examination of the journalistic work carried out by Ennio Flaiano in the Corriere della Sera (1967-1969) on McLuhan’s mediology. Its main focus revolves around the reconstruction of Flaiano’s contribution, as an interpreter of McLuhan’s work, to the birth of the sociology of the imaginary of media. In particular, it addresses Flaiano’s reflections on McLuhan’s axiom “the medium is the message”. His considerations are a testament to the wide diffusion of the Canadian sociologist’s ideas, reaching as far as Italy in the mid-sixties. 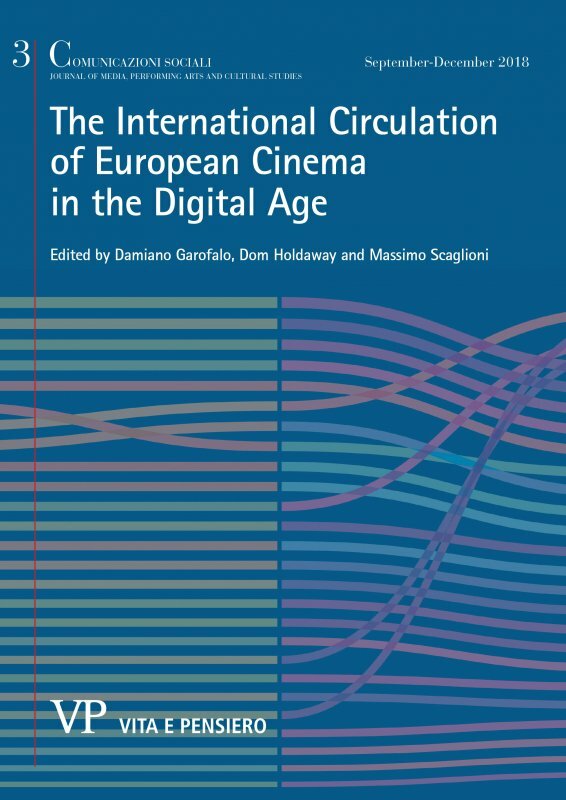 In this socio-historic context, the article places Flaiano’s observations within the wider framework of Italian media culture at the height of the economic boom. In order to understand the thick cultural and sociological web in which this essay situates itself, it is necessary to draw the attention to a “meeting” between Flaiano and McLuhan. At the time when the Canadian sociologist and the Italian writer were both operational, the American cultural industry permeated the collective mindset and bolstered deep socio-cultural changes. Flaiano was attentive to the evolution of communicative languages and cultural shifts, as is apparent in his scripts for Fellini’s La dolce vita and 8 ½. Flaiano covers a fair share of McLuhan’s mediological work in multiple, relevant articles in the Corriere della Sera, asking a number of meticulous questions that were nonetheless destined to remain unanswered. This can provide a possible response to the missing interview planned as part of the documentary Oceano Canada, filmed in Toronto, just a year before Flaiano’s demise (1971). As a result, this proposal focuses on Flaiano’s witty irony as an effective interpretative key of the evolution of media in digital era. This is why his disenchantment may result so useful to study and understand that (controversial) prophet of the global village of information, Marshall McLuhan. The practices of protest participation in urban centres are progressively including among their aims the safeguarding of cultural spaces (theatres, cinemas, etc.) to protect them from real estate speculation and to establish the right to access cultural heritage (sites, materials, content, etc.). Although this kind of protest usually has been antagonistically framed through rhetorical discourses, languages and symbols that are produced by both the social movements themselves and the mass media, new more inclusive collective actions are emerging from the grassroots. This article discusses the case of “Cinema America Occupato” in Rome, a collective action that is particularly interesting when compared to other protests because of its identity building process and storytelling management: the CAO group, exclusively made up of young people, strongly separated from any ideological positions, has gained resonance, visibility and a following that had never been achieved before by similar actions, thanks to an inclusive and engaging representation of both the group and the protest. By analysing (through both a qualitative and quantitative approach) the CAO’s efficient and pragmatic use of social media – and in particular Facebook – in promoting social engagement and grassroots participation, the article investigates the structures of feelings activated in relation to the individuals engaged in the collective action. 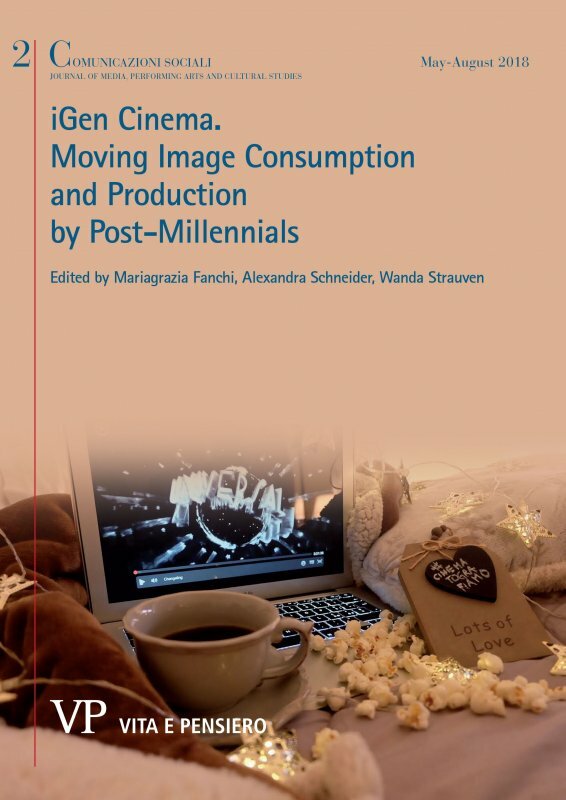 CS special issue 2/2018, edited by Mariagrazia Fanchi, Alexandra Schneider and Wanda Strauven, aims at analyzing Post-Millennials’ cinema experiences and practices.